Located in one of the most beautiful parts of Europe, Greece offers a unique destination to the discerning traveller. Greece is surrounded by ocean on 3 sides; to the west by the Ionian Sea, to the south by the Mediterranean Sea and to the east by the Aegean Sea. Greece is comprised of more than 3000 islands and islets, with only 130 being inhabited. Most of the islands are located in the Aegean Sea and some of the most exclusive and luxurious destinations in Europe. These charming and unspoiled islands have beautiful beaches with endless miles of aquamarine coastline and sun-bleached ancient ruins. Our Greek specialist is Sean Walsh. He is one of our most experienced villa specialists and is absolutely passionate about Greece and the Greek islands. He is familiar with all the best villas in Greece as well as the villas on the islands of Santorini and Mykonos, Cyprus and Crete. He is also very familiar with all the best places to visit both on and off the beaten track. Sean loves to chat to his clients and find out exactly what type of villa or property they are looking for in Greece. He has a particular talent for matching the right villa to the right client ensuring that you will have the vacation of your dreams. Noreen is our concierge for Greece. Noreen will be on hand to help with any pre arrival concierge request you may have when you travel to Greece or the Greek islands. She will organise everything you desire from ground transportation, advice on how to get between islands, restaurant bookings and excursions. Getting to Greece and the Greek Islands is relatively simple and we will be happy to assist and provide you with information on the best routes to take. The Exceptional Villas team’s complete passion for service is the reason why the company are widely recognised as The Most Trusted Villa Company in the world. Exceptional Villas have consistently received 5 star reviews from both Trust Pilot and Trip Advisor. Santorini which is located less than a 45 minute flight south of Athens or 4 hours by boat is one of the most exquisite and beautiful places on the planet. It is part of the Cycladic group of Greek islands and is famous for its spectacular sunsets, white washed houses, authentic Greek villages, blue domed churches, fabulous Mediterranean food, volcanic beaches with crystal clear waters and of course the sheer beauty of the Caldera. Santorini is literally one of the natural wonders of the world and we believe it should be on every avid travellers bucket list. Santorini was originally named Thira by the Venetians who occupied it in the 13th Century. Some people still call it Thira today. Santorini was formed as a result of a cataclysmic volcanic eruption more than 3600 years ago. Before the eruption Santorini was a much bigger circular island. As you stand on the Caldera or cliff top, you can quite clearly see where the middle of the island was replaced by sea after the eruption. 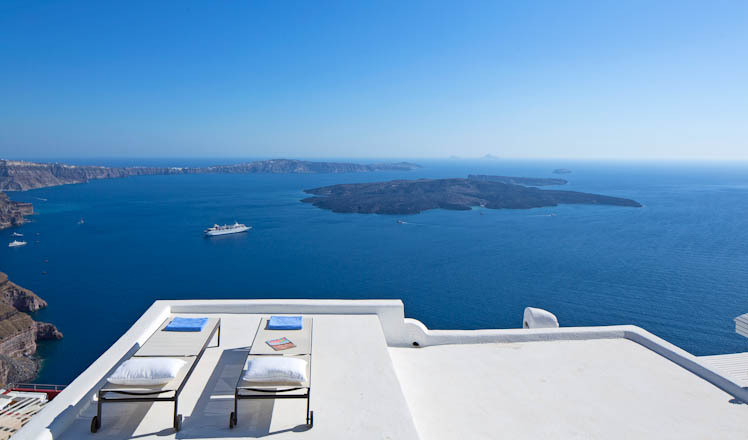 Most of our best villas in Santorini are built into the Caldera or Cliff top. As a result, no matter where you are staying you will feel you have the best view on the island. There is literally no bad view from anywhere on the Caldera. This cliff face is generally where everyone wants to be although many parts of the island are stunningly beautiful and we are happy to recommend some stunning villas located in other quieter areas of the island. 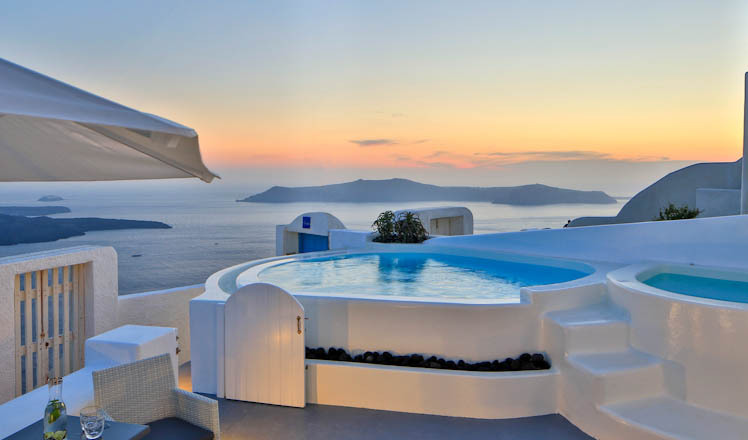 Santorini is a particularly popular destination for romance, weddings and honeymoons. There are two main towns on the Caldera. The capital is called Thira and it is a picture perfect Greek town lined with lovely boutiques, tourist shops, tavernas and fine dining restaurants many of which have been built to take full advantage of the views. The second latest town in Santorini is Oia. It is located on the most westerly tip and therefore is the place to go to experience the very best sunsets. Sunset time is a big event in Santorini with people gathering over sunset cocktails to enjoy the amazing sceptical before them. Oia also has some excellent shopping with plenty of designer shops and charming boutiques. Mykonos is another favourite island of ours and we are proud to represent some of the best luxury villas in Mykonos. Mykonos is a very short flight from Athens. If you prefer it is perfectly possible to travel by boat which is also a lovely way to arrive. Mykonos is famous for its amazing beaches, sparking blue sea, sunsets, parties, night life, gourmet restaurants, windmills and gorgeous white washed villages. If you are a fan of beaches Mykonos is the place to go. Mykonos is extremely glamorous and chic and attracts celebrities and A listers from around the globe to its shores. The main town of Mykonos is worth a special mention as it is possibly the most beautiful of all of the Greek white washed towns. It is located right on the sea and is full of stone and paved winding alleyways which are lined with fabulous designer shops, unique boutiques, art galleries, bars, fine dining restaurants and authentic Greek Tavernas serving only the freshest and best food. One of the top things to do in Mykonos is to visit Mykonos! Although Mykonos is very popular for glamorous parties, there are also plenty of places which are quiet and stunningly beautiful where you can spend tranquil days in nature. Athens is well worth a visit especially if you are coming from afar. 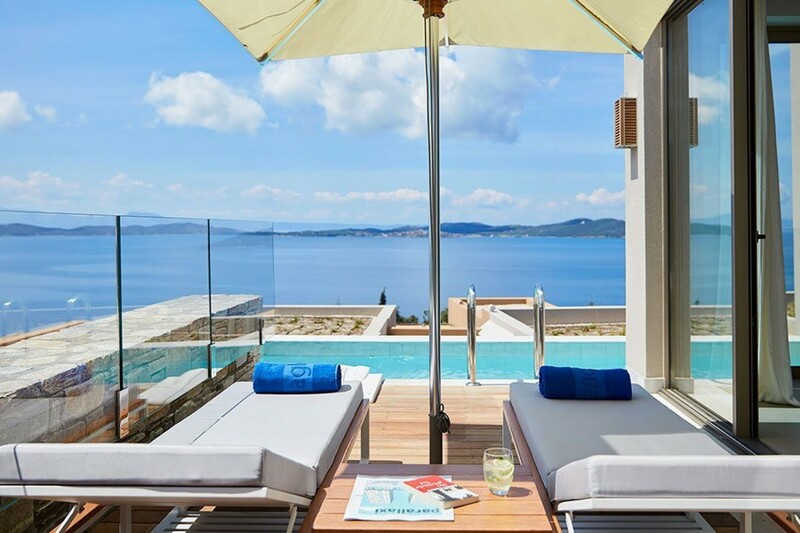 Our Exceptional Villa team will be delighted to help you with accommodation in the city and also arrange a multi-destination vacation if you would like to get a good sense of both Greece and the Greek islands. Crete is another one of the beautiful Aegean islands. It is more mountainous than many of its neighbours with spectacular rock coasts, sandy beaches and beautiful crystal clear waters. Crete is the largest of all the Greek islands and as a result has an interesting interior landscape full of green and lush mountain terrain. Crete also has the distinction of being the birthplace of Europe’s earliest civilisations and therefore is full of history and culture. There are many archaeological sites and interesting towns and villages to explore. The people of Crete are famous for their hospitality and we highly recommend getting an authentic experience of the island by rental a Crete Villa. Corfu is another firm favourite island of ours. It is located in the Ionian Sea just off the northwest coast of Greece. The island is full of beautiful coves and rugged bays. It is a very eclectic island with a mixed architectural style with influences from Italy, France and Great Britain. These influences are as a result of the islands interesting history as it was occupied by each of the three nations at one time. One of the interesting places to go in Corfu is the town of Kerkyra which is proud to be on the UNESCO World Heritage list. The town is beautiful and really well preserved with Byzantine Fortress and ancient monuments. The north of Cofu is generally quieter then the south and has lovely fishing villages and quaint tavernas. A great way to explore the island is by boat and our concierge Noreen will be delighted to assist you with this. 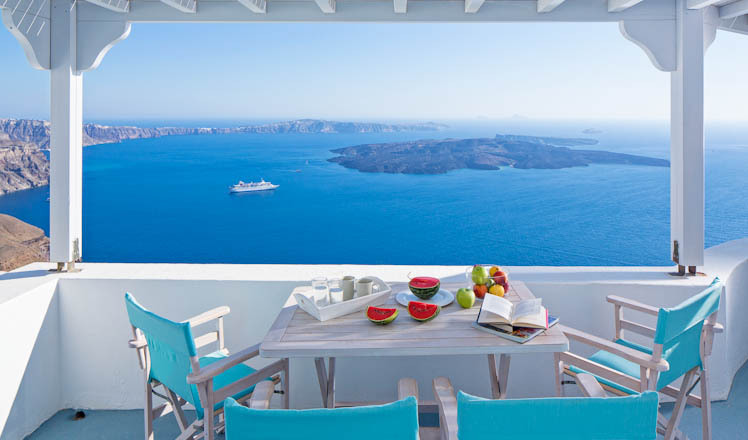 If you are looking for Vacation Rentals in Greece, please contact us and speak to our professional team.